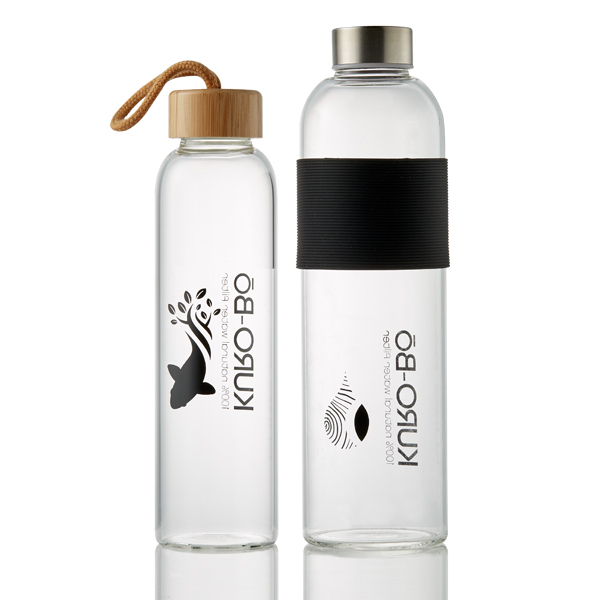 KURO-Bō’s mission is to replace the need for single-use plastic bottles while delivering great-tasting purified and mineralised water at the same time. Their unique solution uses plastic-free 100% natural water filters made from activated carbon. Learn more about how it works here. 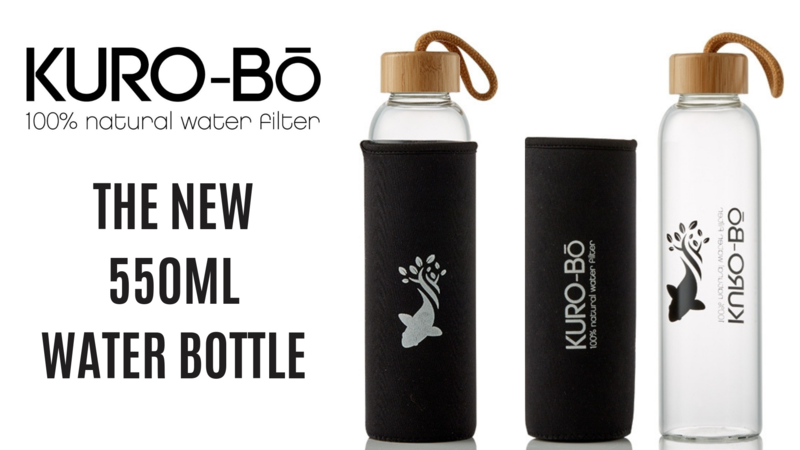 Their 1l Gō-Ecō Glass Water Bottle used with the KURO-Bō Activated Charcoal Kōins has proven to be hugely popular, offering people a way to use KURO-Bō activated charcoal water filters on the move. The 1l bottle is great for your desk, your bedside, in the car or while travelling. However, demand is growing for an easy-to-carry smaller bottle for short hikes, walking and running. KURO-Bō has just brought in the new 550ml bottle and already it’s a winner! Unique to KURO-Bō, both bottles are hand-made from high-quality borosilicate glass (pyrex) which is much more lightweight, durable and portable than standard glass. Ideally paired with KURO-Bō Activated Charcoal Kōins for 3 months of daily naturally filtered water, wherever you are! KURO-Bō blends elegance and style with practical functionality when it comes to naturally filtering water, but of equal importance is the message inherent in their whole range. With KURO-Bō’s Gō-Ecō Glass Water Bottles and KURO-Bō Activated Charcoal Kōins, there is now zero excuse to ever go single-use plastic again. It’s that simple. Time to exchange your rands for Kōins, they’re the new currency for turning ordinary tap water into fresh-tasting mineralised water! For more in-depth information about this ancient technology, read our previous post about all the benefits of KURO-Bō.